Praescient Analytics has been recognized time and again for advancing technology innovation, leadership initiatives, and veteran issues. These accolades are a reflection of our sincere commitment to make the world a better place to live and work by empowering organizations with tools and knowledge to solve complex information challenges. We are humbled by these honors and strive to continue to live up to their high standards. Read about Praescient’s partnership with Vencore to perform Open Source Activity-Based Intelligence (ABI) in conflict zones. This capability was debuted at the 2016 GEOINT Symposium in Orlando, Florida. Watch the launch of Praescient’s tech platform at the United Nations General Assembly. Entitled the International Counterterrorism and Countering Violent Extremism Capacity-Building Clearinghouse Mechanism (ICCM), the application enables more efficient global counterterrorism policymaking. NBC Washington featured a Praescient employee, sharing his story about the transition from military to civilian life and the support he received from professional organizations and the veteran community. Praescient’s Ideas Blog has been recognized as a go-to resource in the security and business communities where our subject matter experts provide valuable insights across big data analytics, engineering, and technology innovation. WashingtonExec interviewed CEO Katie Crotty about her experience as an entrepreneur and emerging leader in the D.C. metro area. Katie highlights her military influences when running a startup and the impact of female executives in the business community. Praescient’s founding story and company vision were spotlighted in an interview piece in this industry publication. Praescient was described as a team of young, innovative entrepreneurs and former military officers who are building a startup committed to making a difference their communities and bringing cutting-edge technologies to decision makers across the globe. Praescient partnered with Arizona State University and the McCain Institute to study human trafficking trends in the United States with the use of advanced technology. The INC. Hire Power Awards recognize American companies that have greatly increased their workforces and are on the forefront of job creation and economic development. This honor celebrates private companies on the forefront of American job creation and economic development. The 2013 cohort of honorees created a total of 51,327 positions over and 18 month period. Praescient Analytics was named as a #4 top employer for job creation in the Commonwealth of Virginia. Praescient was also ranked as the 11th leading employer in the Information Technology company category on a nation-wide level. Praescient is proud to be counted among the top IT Services and Software job creators in the state, sharing the spotlight with representatives from emerging industries including health and financial services. The Association for Corporate Growth (ACG) National Capital Chapter’s 2013 Emerging Growth Award honored the accomplishments of entrepreneurs, dealmakers, investors, and executive leadership teams from the Washington, D.C. metro area that experienced incredible financial growth within a one year time frame. Praescient Analytics was named as a finalist in the Emerging Growth Under $25M category. ACG called out the rapid revenue increase since the company’s founding in 2011 and celebrated Praescient’s measurable impact at defense, intelligence community, federal and local law enforcement, and commercial organizations. This ACG Award also called attention to Praescient’s great company culture, employee programs, and an effective approach to management. The Northern Virginia Technology Council presents the Hot Ticket Awards to recognize entrepreneurial companies in the D.C. tech community with exceptional strategic vision, enviable company cultures, and innovative management approaches. Praescient Analytics was named as a finalist in the Hottest Company Culture category in 2012. This category recognizes a company that fosters a great culture and retains top talent. The Voltage Awards, organized by SmartCEO, celebrates the importance of technology across a range of industries. The program recognizes innovators and implementers of technologies in the D.C. Metro area. Organizations were recognized for their economic and social contributions as they relate to technology. Praescient Analytics was honored at the 2014 Voltage Awards with the designation of Technology Innovator . SmartCEO recognized CEO Katie Crotty as a thought leader, acknowledging Praescient’s commitment to the principle of pairing cutting edge technology with smart people in order to enable decision making across a range of markets. This accolade is a statement of the collective passion of our teams to foster innovation at Praescient. Praescient was also designated as a Technology Innovator finalist at the 2013 Voltage Awards. DCWEEK is a week-long conference and event series in the nation’s capital focused on briniging together entrepreneurs, technology experts, and thought leaders. Tech Cocktail, a media company and events organization, held a Startup Showcase highlighting some of the region’s most innovative young companies. The Praescient Analytics Research and Development Team demonstrated advanced workflows using a diverse suite of analytic technologies in a scenario-based setting, showcasing innovative capabilities with big data analytics. Praescient Analytics has committed to hiring a certain amount of prior service members throughout the calendar year. As an organization that’s already 60% veterans, Praescient has been recognized as a thought leader in veteran issues. Our leaders have participated in working groups with business leaders, technologists, researchers, and leaders at the White House to advance veteran employment initiatives in the United States. In the spring of 2013 the U.S Chamber of Commerce Foundation’s Hiring Our Heroes initiative kicked off the Small Business Tournament of Veteran Champions. The Tournament sought to honor the most veteran-friendly small business in the United States, judging candidates based on their innovative recruiting and retention strategies to hire veterans, engage the veteran community, and show an ongoing commitment to veteran professional development. After a fierce round of competition, Praescient Analytics was called out as a Final Four semifinalist. In a series of video interviews, the Executive Team pointed to the company’s 60% veteran staff, commitment to supporting the responsibilities of reservists, and service to active duty military units as key reasons for the veteran-friendly designation. 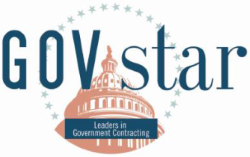 SmartCEO’s GovStar Awards program recognizes DC-area firms that lead the charge in the complex and competitive world of government contracting. Nominated companies are called out for their superior technology innovation, workplace environment, growth, veteran support, and contributions to the marketplace. Praescient joined among 45 other companies nominated for this award across several other categories at the November 2014 award show; altogether this cohort generates more than $3.2 billion in annual revenue and employs over 9,900 individuals in Greater Washington. Praescient Analytics was named the winner of a GovStar Award in the Star Warfighter category, which recognizes “government contractor[s] that support the safety and well-being of individuals serving in the armed forces post war and during deployment.” Praescient was called out for our continued service to our armed forces clients engaged in critical missions all over world and our commitment to advancing veteran employment. On March 25, 2013 Praescient’s Vice President of Services Bill Wall was invited to the Open Analytics Summit in Arlington, Virginia to share a highly relevant presentation. Entitled Ensuring National Security And Protecting The Supply Chain: Leveraging Opensource Data With Powerful Software Platforms And Talented Analysts, Bill’s presentation demonstrated powerful methodologies for examining illicit global shipping activities. Bill joined developers, engineers, data scientists, data analysts, CTOs, architects, and brand managers at this high-profile event. Praescient partnered with investigative journalists to use advanced technology to better understand the cycle of illicit trade of human tissue. As a main-stage presenter at the 2012 Google INFO Summit, Praescient showcased analytic workflows to support the findings of the International Consortium of Investigative Journalists.